There is a piece of stone with a name and dates carved in it. "Gone but not forgotten" is the mantra, but many of those who are gone have few left to remember them. Hit the pause button to take a closer look at the promotion picture of the Andersons! 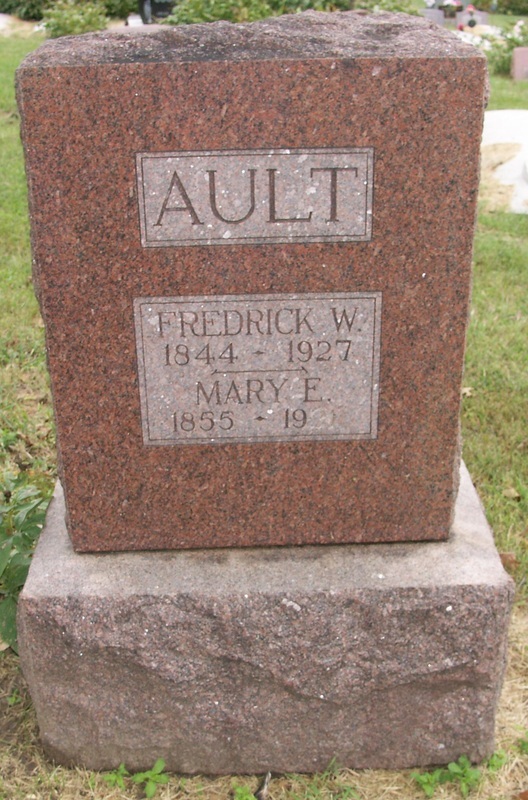 Union Civil War veteran Frederick Ault (1844-1927) was from Ohio. 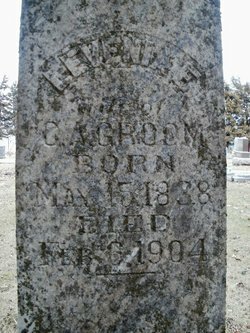 According to a family tree on Ancestry.com, with his first wife, Clarinda, he had ten children. 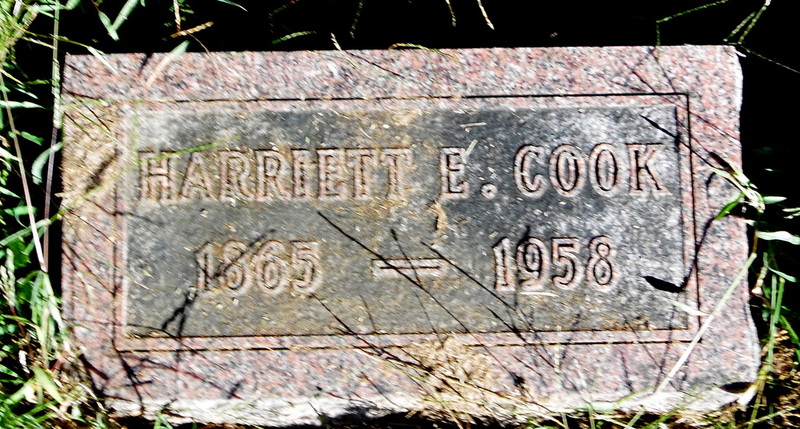 With his second wife, Mary, who died in 1931, he had five more. 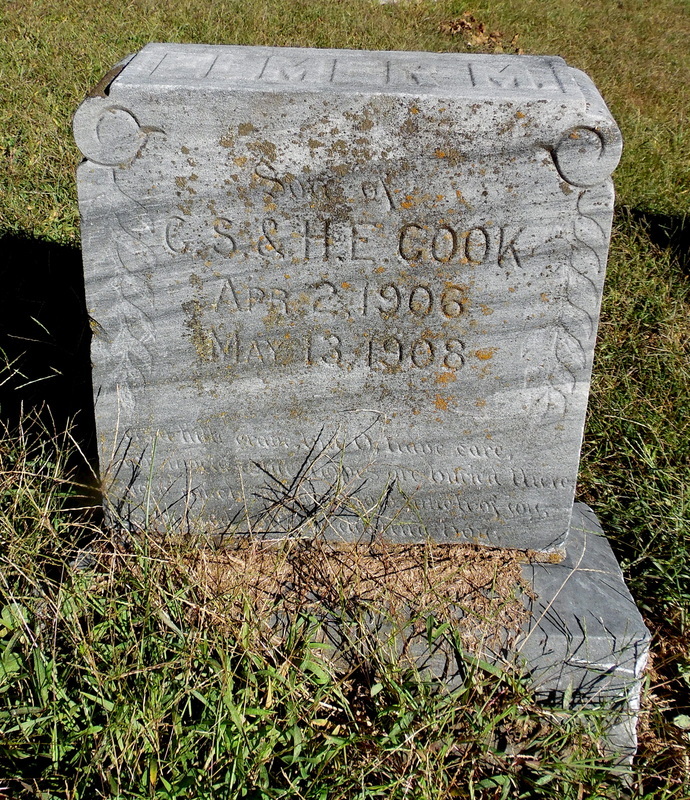 There are 16 Aylor known tombstones in the Table Rock Cemetery, but only a couple of pictures. Alvay Aylor, Sr., in about 1922 in a billiard room in the building now housing Sochor Electric. He is the man in the white shirt. 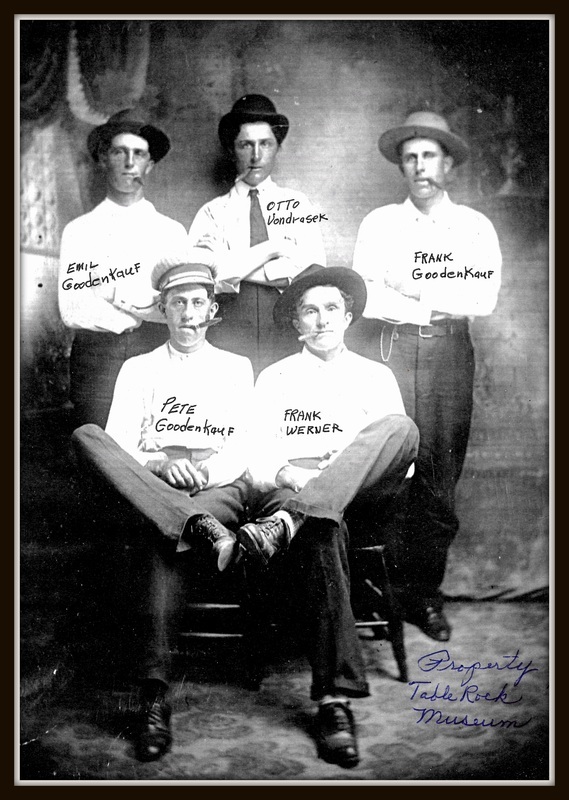 With him are Lewis Day, John Cockrill, and George Griffing. 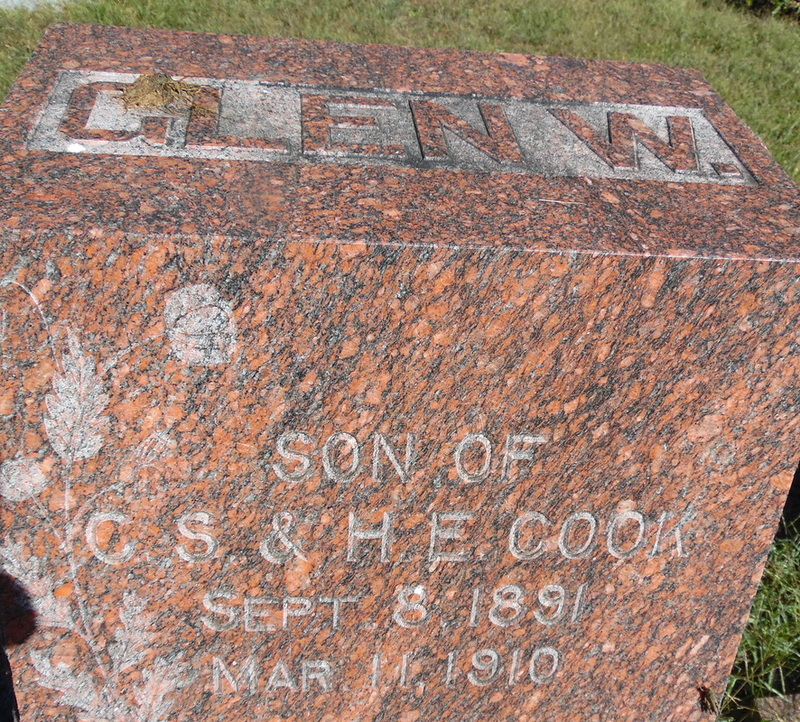 Two sons born after Charles did not survive childhood, Glenn (1891 - 1910) and a little fellow born in their later years, Elmer (1906-1908). 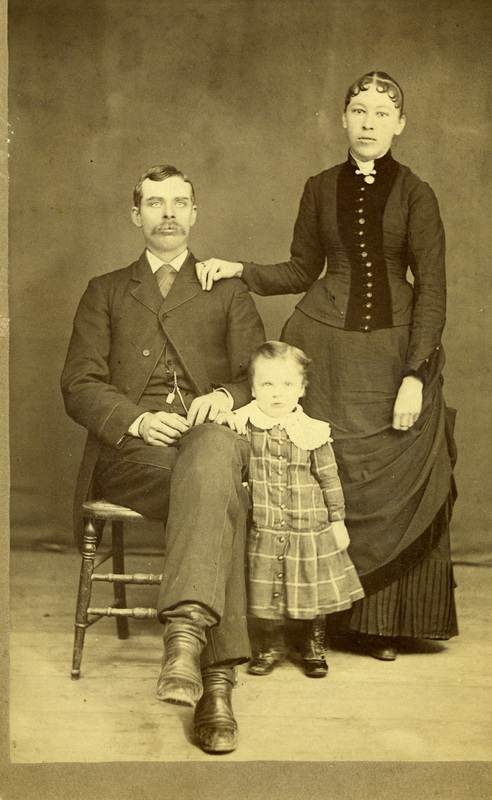 In 1888, Cornelius and Hattie Cook, with little Charles. 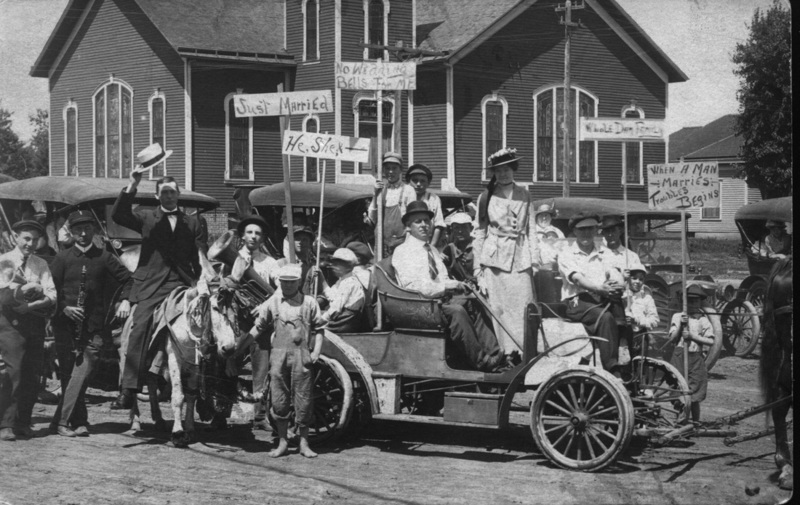 Circa 1912 wedding of Charles to Hazel Wiar. 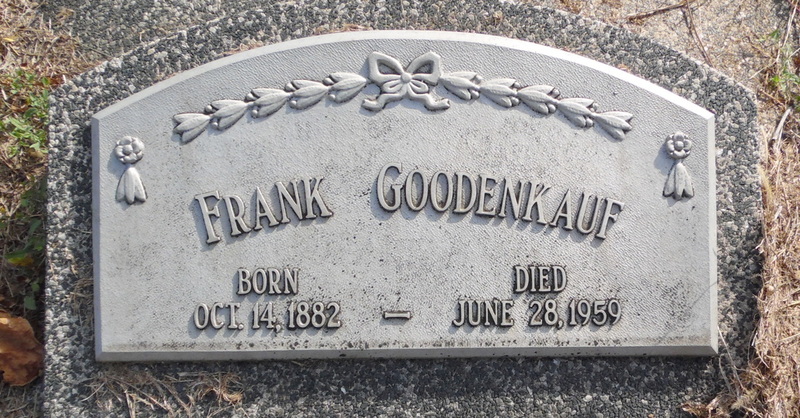 Both are buried in Forest Lawn Cemetery in Omaha. 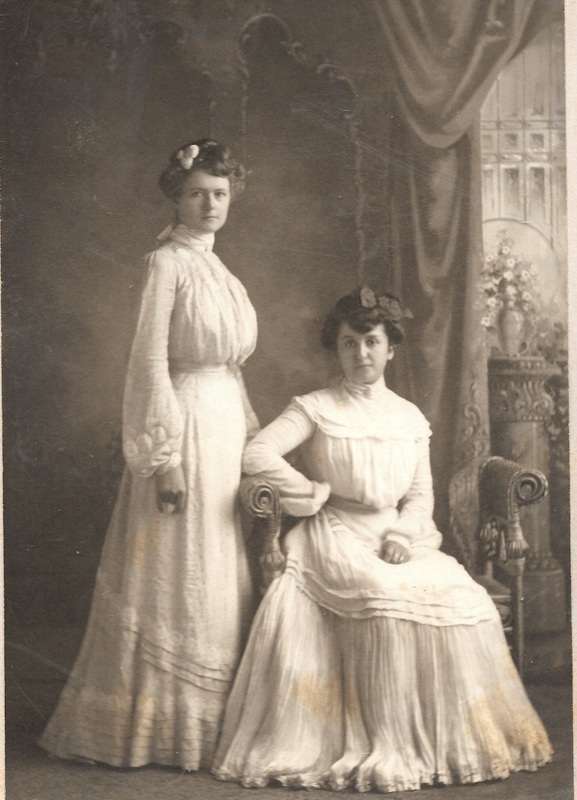 Emma is on the right, with Josie Kovanda Kunch. 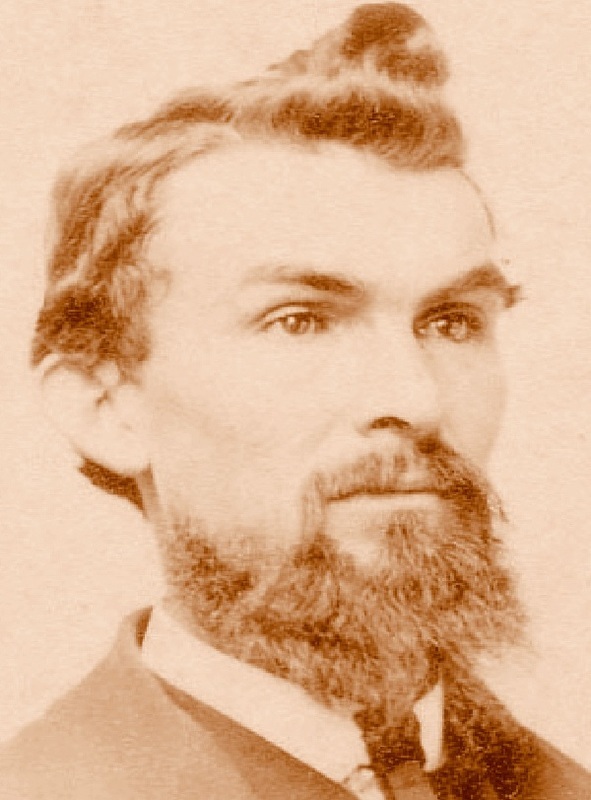 - 1904) had Charles Groom (1834-1910) was a Union Civil War veteran. 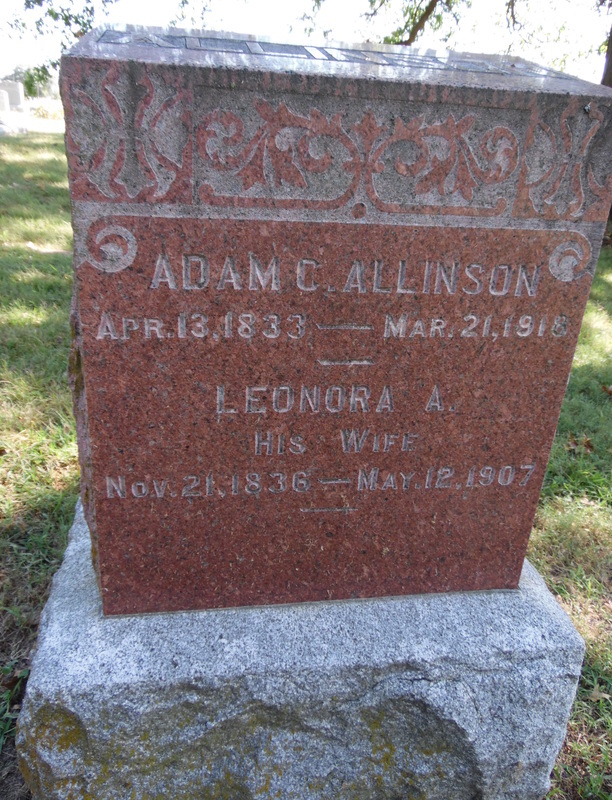 He and his wife Levenia (1838 - 1904), had a number of children. 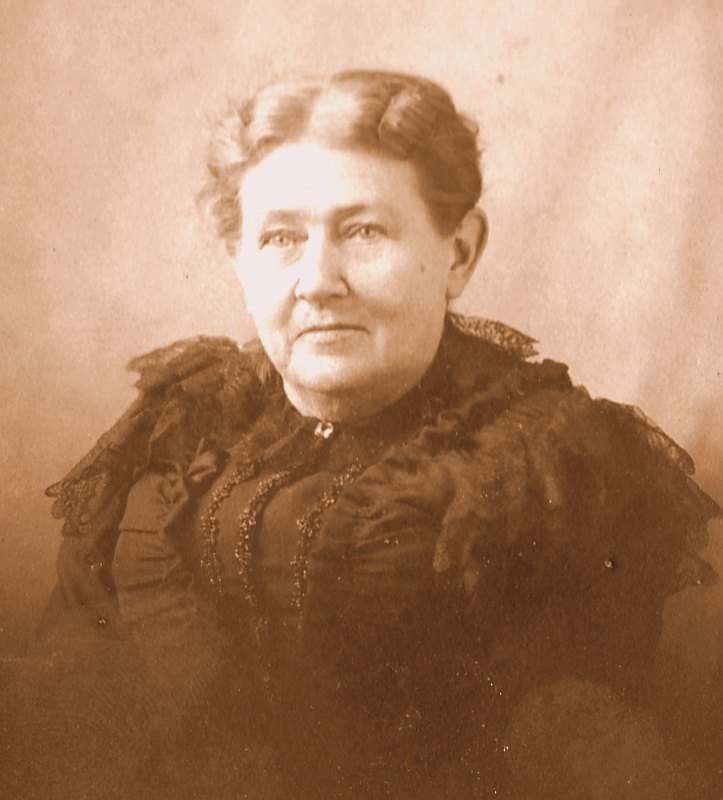 Their 21-year-old son Eugene (1870-1891) is buried near them. 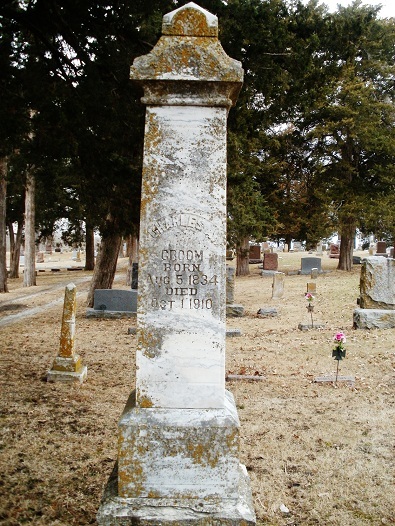 Levenia and Charles share the same tombstone. 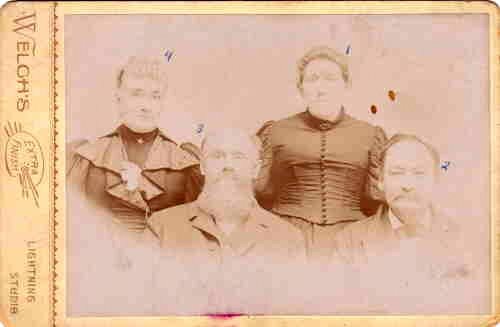 Family photo shared by a descendant, Ruth. Levenia and Charles are the couple on the left.